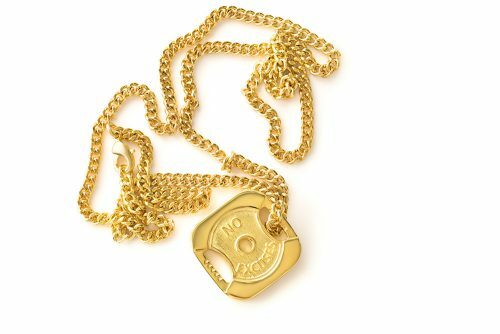 One of the pieces of the FitSelection jewelry line with the strongest message – “No Excuses” weight plate necklace, now comes in a 24K gold plated version. 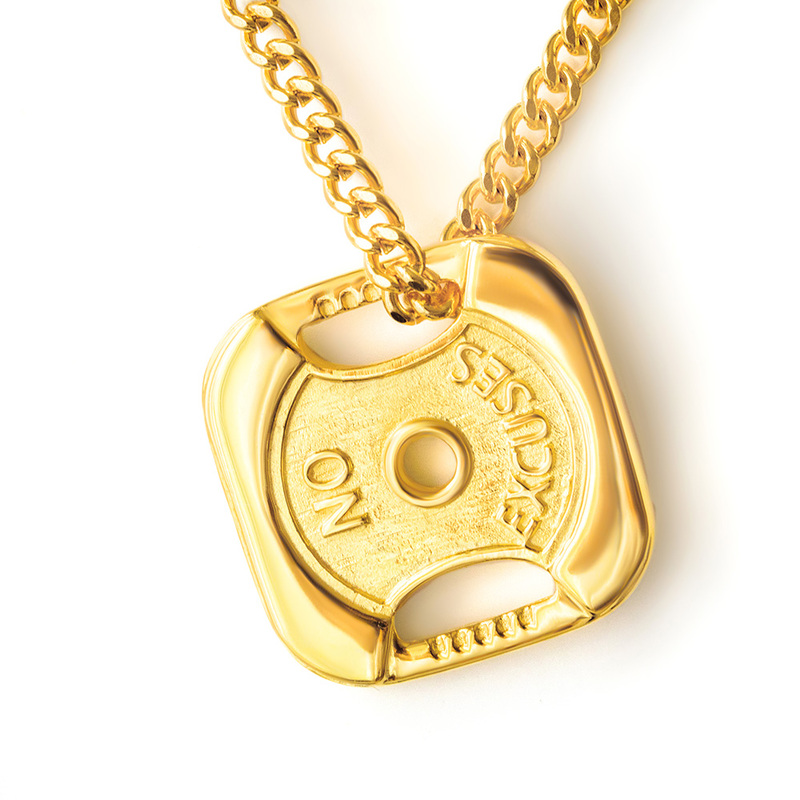 For those days when you feel unmotivated and you’re too tired or too busy to workout, stop and take a look down at this No Excuses weight plate necklace. 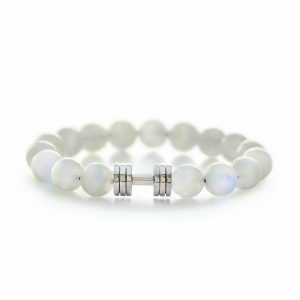 FitSelection jewelry is the motivation you wear! This motivational jewelry piece is the perfect reminder that excuses don’t burn calories! FitSelection team creatied this clasic gold plated weight plate design with grip space and the hole in the centre. 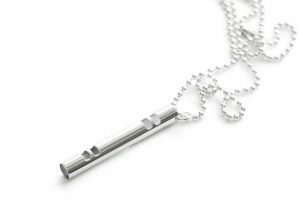 Special design is making this unique necklace stand out from the crowd. The phrase “NO EXCUSES” will be your daily reminder not to give up on your daily plans and give an extra motivation for your fitness and sports challenges. 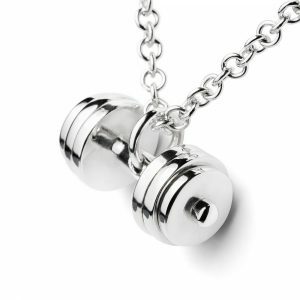 The necklace is specially crafted from Sterling Silver so it can be worn during workouts without any worry of moisture damage or tarnishing. 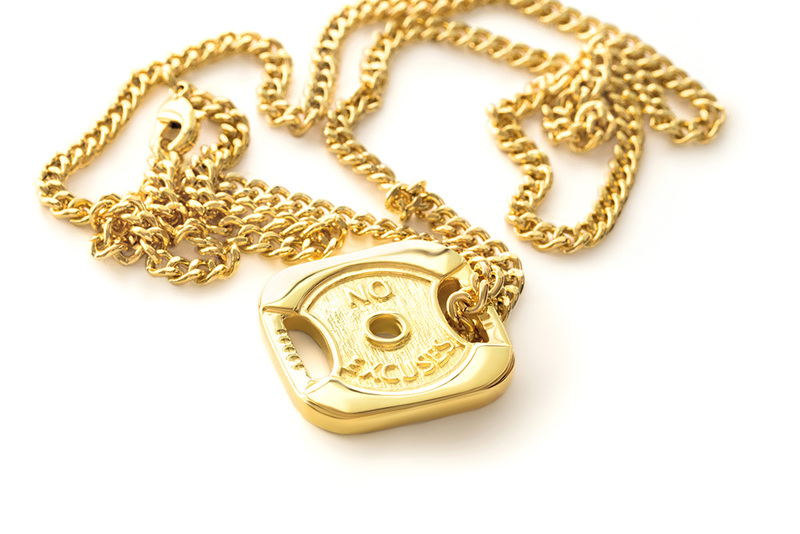 Plated with real best grade (24K) Gold, this piece is long-lasting and non-irritating even to sensitive skin. 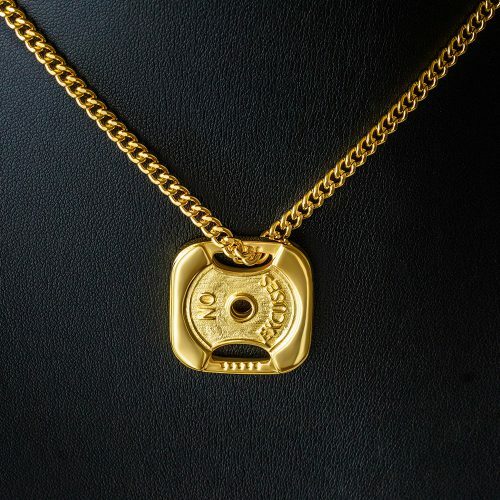 Pendant comes with a matching Gold plated Sterling Silver chain. 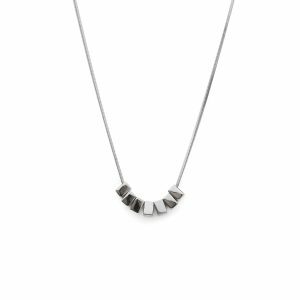 Presented in a black gift box, making a great gift of encouragement for your favourite spotter or a great accessory for yourself.